Freshworks CEO and founder, Girish Mathrubootham, is on a mission: To build the ultimate, all-encompassing customer engagement management platform. “We want to build a future where every person in the business will know everything about their customer,” he told CMO during an exclusive interview at the vendor’s recent Fresh: CX event in Sydney. It’s a massive ambition, especially given the incredible competition and rapid convergence occurring right now as almost every software vendor across almost every marketing, sales, service, support, business intelligence and enterprise management category looks to reposition their platform as vital to customer experience success. 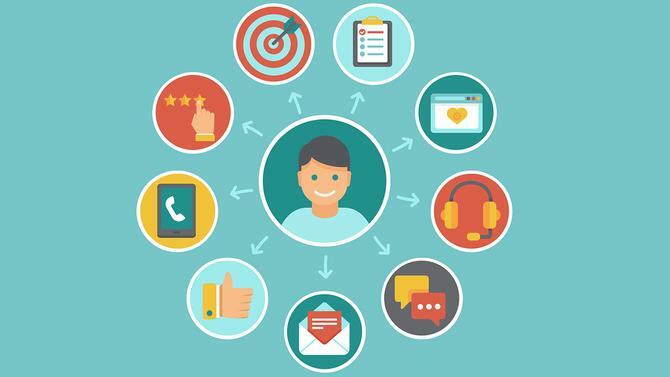 In fact, it doesn’t matter which standalone software platform you look to – from legacy contact centre on-premise software, to marketing automation, sales engagement, CRM, data reporting and more – they’re all vying for a piece of the CX pie. Freshworks, established in India in 2010, is looking to shore up its position by offering an integrated, cloud-based, componentised business software platform tackling all aspects of customer experience management across what these standalone functions. Starting with its Freshdesk helpdesk management solution in 2011, the vendor has been building out its SaaS range to address these areas and 12 months ago, rebranded to Freshworks in recognition of its wholesale CX provider approach. And it’s a vision and roadmap that’s won hefty support. To date, Freshworks has raised US$250 million, including $100 million in July, bringing its market valuation to $1.5 billion. Freshworks boasts of 150,000 clients globally including Toshiba, Cisco, Honda, Hugo Boss and the UK’s National Health Service. 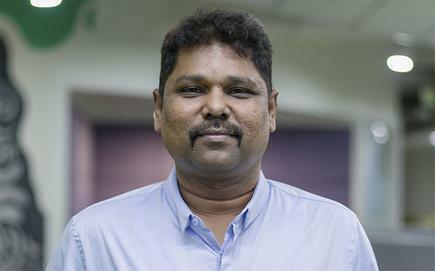 Here, Mathrubootham sets out the Freshworks vision, why he thinks it’s time for a shake-up of the vendor landscape, and the latest trends changing the face of customer service. Can you explain where Freshworks is heading and your position in the market? Girish Mathrubootham: Customer engagement is our overarching theme and at our core, that’s what our software company is all about. We started as Freshdesk and with customer support. Today, we are focused on all aspects of customer engagement, from sales and marketing to support, chat and contact centre software. For internal IT departments, we also have employee engagement offerings. The recent product announced, called Freshworks 360, is about bringing together everything. If you think about it, entire businesses are having conversations with customers. The lifecycle of a customer starts from the point where they don’t know anything about your business, and you’re trying to market to them; to when they’re interested and you’re trying to sell to them; to supporting them; and once they’re happy, retaining and turning them into advocates. It’s just different forms of conversation with the customer depending on the lifecycle. The broader question we’re trying is: How we make this experience even better? Freshworks 360 is our first step in bringing a unified experience to a business. If a new company is starting out with Freshworks 360, they’ll have one platform to talk to their customers. Today, I can bet you no company has a single view of the customer across all these different departments. It’s broken and siloed. No one knows who the customer is and where they came from, which campaigns they saw, what they did on the website, which products they have interacted with, which salesperson sold those to them, which products they bought and the discounts they offered, through to support and what are they telling the customer, as well as what that customer is saying about them on social media. No one has the full and complete picture. That’s our mission. What we want to do is build the customer engagement platform of the future where every person in the business will know everything about their customer. Clearly we have a plethora of best-of-breed solutions catering to these different needs across business functions. Marketing is arguably the newest area to gain automation, but we’ve had contact centre solutions, CRM for a long time. Who are you challenging? Even before the competition, the markets – our prospective customers – aren’t fully aware of such a solution being possible. I’ll use an analogy to compare here. If you go back to 2005, and before we all had the iPhone, we had a flip phone, an MP3 player, a GPS device, and a point and shoot camera. As consumers, we were all thinking these are different product categories and we needed each one. We needed a phone to talk to people, an MP3 player to listen to music, a GPS to travel from A to B and a camera to take pictures. Then the iPhone happened. And it created a new category by combining existing categories. Category creation in any product is usually about creating something that doesn’t exist. When Steve Jobs created the iPad, it was a new category. But when the iPhone came out, it combined existing categories. In the enterprise space, and as buyers of software, we have buyers and organisations structured and wired to think if they’re in a customer support team, they need to buy contact centre software. If they’re in the sales team, they need CRM, and if they’re in marketing, they need marketing automation. The challenge is the category we’re building doesn’t exist yet. As Freshworks, before we even think about our competition, we have to work on building our category. Customers today are thinking in these silos. That’s the reason we started that way too. Yes, others are suggesting more integrated offerings. Salesforce claims this message on its website, and offers the Sales Cloud, Marketing Cloud, Commerce Cloud and so on. But the reality is these offerings are still largely in silos and don’t fully integrate. And that’s because many technologies did not exist in the market when Salesforce was established. Salesforce built a platform but you had to do the API customisations and bring in the consultants to wire it all up together. Today, if someone is building something, you can create a new experience off one platform. It’s going to start with smaller companies and move up into the larger companies. Smaller companies often have the benefit of being without legacy; the larger companies usually have sunken cost into legacy technologies. With the rise of ‘experience’, all larger enterprise vendors, such as Adobe, Salesforce, SAP, Oracle, IBM, have acquired to fill capability gaps. To what extent is Freshworks walking the same path? We have also acquired nine companies. Acquisitions can be done for revenue, technology or people. When you do it for revenue, you’re acquiring an already large business and you don’t want to disturb the business as you’re working to boost revenue. We’ve never done that kind of acquisition; our strategy is more to acquire for the technology or people and integrate them in quickly. The second part of my answer is customers have to see beyond the marketing. Is the product really living up to that? At heart, I’m a product manager and we are a product-driven company. Anyone can claim to offer a superior solution, but only when the product lives up to the claim will they win. The iPhone was successful not because of marketing, but because it was a phenomenal product. I argue that doesn’t exist today in customer experience. Everyone is talking CX and unified experience but no one has the single product to do it. How far does Freshworks need to extend its product capabilities to realise this vision? The first thing you have to do is bring all the products onto the same platform. So we the Freshworks 360, which from the outside is reflected in a single sign-on. Beneath the hood is a full-layer platform architecture. When you sign up to our Freshdesk product, for example, we map it to an organisation, so when you sign up to a second product it automatically belongs to the same organisation and you have unified billing. This helps businesses to add on what they want but still have one vendor and bill. On top of that, we have the Freshworks app marketplace. This allows you to access apps that can be integrated in the product. You can also build your own custom apps. All of our products have already moved on top of that platform. That’s phase one. In coming months, we are launching for lack of a better term, ‘bundles’. For a company who wants a helpdesk, contact centre, telephony solution, chat solution for website and a collaboration solution internally, all of this will be provisioned in one shot. The reason why we are taking this approach is the bigger organisations are still organised by function – Sales 360 could be used as an outbound call centre for phone, for Web-based chat for lead gen and conversion, and for email campaigns and a CRM for a contact centre. If the organisation’s structure isn’t ready to support one CX view, it becomes very hard to sell. It becomes a CEO-level sale. We are taking the other approach, which we believe is the better route, which slowly exposes our customers to the benefits of having integrated experiences. There is also the SMB opportunity. We are living in an era of a tsunami of startups. At the same time, SMBs are constantly looking for change, and they’re also going through a massive digital transformation. According to Google research, by 2020, SMB SaaS revenue will overtake enterprise SaaS revenue. Most SMBs realise if they don’t have a website and market to the customers, engage on chat, have a helpdesk or some kind of customer support system, they can’t win. Suddenly, in the last 3-4 years, they can afford all of this.